This Bike Is Sent Tumbling On The Asphalt After This Wheelie Fail! Whether you are a new or old motorcycle rider, the wheelie is a stunt you always have to kind of hope goes right. Of course, there is skill to everything, but one imbalance doing a wheelie and you can be left in the hospital. In this video we witness one man attempting a wheelie and unfortunate for him his bike goes flying under him and sends him tumbling on the asphalt. Luckily the rider appeared to be okay considering the circumstances, but his bike and rider esteem definitely got shot. 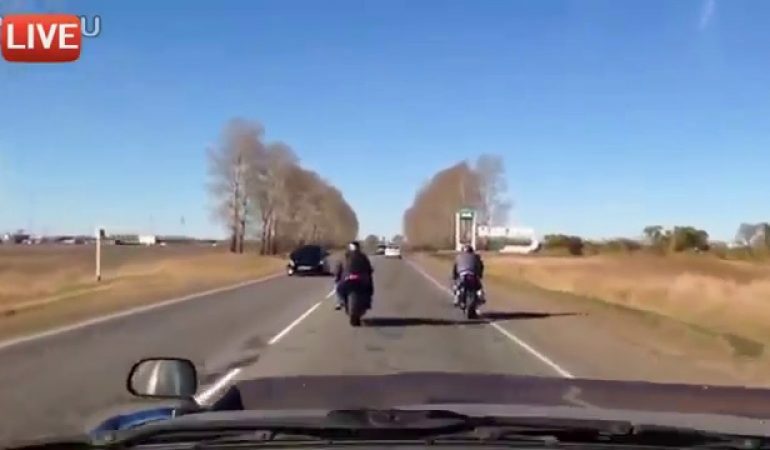 Click the video below to witness this insane wheelie fail!